I live so much in the “now”. Mainly focusing on what I have not yet accomplished. It’s the whole evaluate, improve, evaluate and so forth. 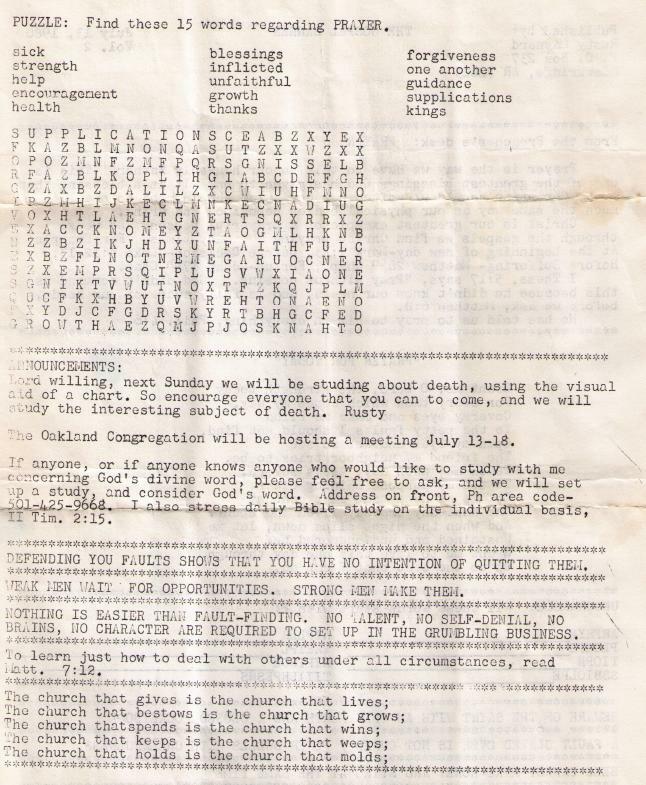 I was reminded and very humbled recently when my mom (Jane Maynard) gave me a bulletin I produced 33 years ago for a small congregation named Dawt Church of Christ. This small congregation meets in a one room building, then heated by a wood stove in the middle of the room, and cooled by an attic fan – on the banks of the North Fork River. It’s just up a dusty path from Dawt Mill. John and Jarretty Nesbitt attended there so many years ago. 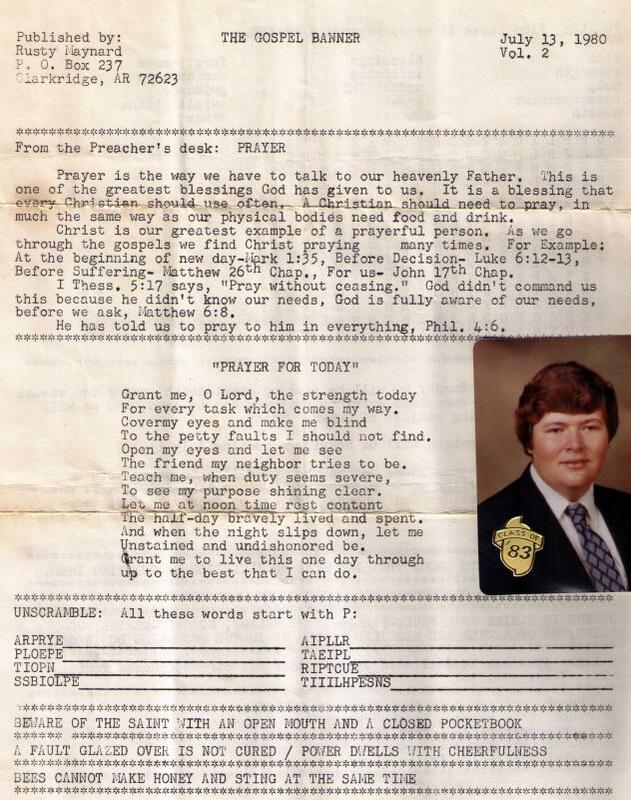 Recently, the family discovered this bulletin and picture in Jarretty’s belongings. I don’t remember the bulletin nor the obviously fashionable trends I sat as a freshmen in High School in 1980. I’m humbled that Sister Jarretty valued the topic of prayer so much that she kept something I have long forgotten about.